Hello guys, welcome back to my website. 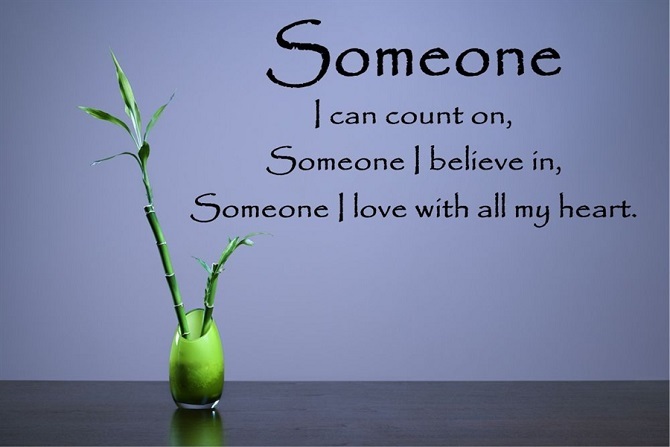 In this beautiful morning, I want to share you about something about believing in someone. Well. as a social creature sometimes having someone to believe is needed right? So, how can we believe in them? Can human randomly believe in something? Let’s discuss it today. What is Believe and How To Believing in Someone? There are so many people who using this “believe” word. However, do you know the meaning of “believe”? So, What is it? Believe itself have a few meaning and every meaning needs to be understanding to avoid mistaken using between belief and believe. This also can be interpreted as accepting something as true or feeling of the truth that have been spoken. Believe is something you hold as an opinion, think or suppose. Well, that’s the meaning of “believe” word and to preventing you from getting mistaken of using this word. I will also give you the meaning of “belief”. So, can you guess what is the meaning of belief? This word itself can refer to an acceptance the statement is true or that something exists. Something one accepts as true or real, this is also can be used for a firmly held opinion or an acceptance. The example for this is ” She belief there’s nothing fruitless, she believes there’s always a result of her effort. This word also can be used to stating someone religious conviction. It’s also can be related to trust, faith, or confidence in someone or something. How To Believing Someone New? So, after knowing what is different of believing and belief. Most you must be questioning how to regain your faith to someone else. Or maybe you also asked how can we believe in someone, that’s totally stranger to us? Well, maybe I will give you a little tip for it. Once you are able to forgive yourself and recover from your old wounds. Maybe one day someone who is valuable enough to hold your belief again and you will believe in people again. Is it really worth to suffer alone because of your old wounds? Answer it honestly. If your answer is it worth to be alone and suffering because of all of that hatred. I can’t say a word anymore. You need to fix your heart first so you can start believing other. Throw away your negative thought. To believing someone new, you need to throw away all negative feeling. If you have already suspicious to other people even if you are never meet them. Maybe there are something wrong in your heart. This is all the information from me about believing in someone. In order to regain your faith. Please heal your soul first. I hope this information can be useful for you. As usual, if you find this article interesting enough, please share to your friend and family. I hope we can meet in my next article, see you guys.